October 17, 2018 (Investorideas.com Newswire) David Morgan, publisher of The Morgan Report, discusses two companies that have come up with groundbreaking technologies that hold the potential to change the way E-waste is processed and the way mining is conducted. David Morgan, the well-respected publisher of The Morgan Report, has decades of experience with precious metals investing. He began investing at the age of 16, and was influenced by Jim Dines, the force behind The Dines Letter, who sold Morgan on the need for monetary reform. Morgan also studied under William O'Neil, the founder of Investor's Business Daily, and an extremely astute investor. Morgan founded The Morgan Report to help investors protect their wealth regardless of the economic outlook. Morgan realized early on that a lot of companies have great stories, but that does not mean they will succeed. To help investors allocate their investments, he divides the portfolio into three tiers: top tier, midtier and speculative. Over the years, top-tier portfolio companies such as Pan American Silver, Silver Standard, Agnico Eagle, Franco-Nevada and Silvercorp Metals have made large gains. Some more speculative stocks, such as Western Silver, were takeover targets, and The Morgan Report prides itself on the number of speculative juniors it has recommended that have become mines. Streetwise Reports sat down with David Morgan to talk about the precious metals market and several companies that are among his top picks. The Gold Report: Gold and silver have been trading sideways for some time. What's your crystal ball telling you about precious metals? David Morgan: Nothing fundamentally has changed in the global financial system. The 2008 financial crisis really hasn't been repaired. What they've done is they've taken a debt-based economy on a global basis and it has been brought further and further into debt, nation-state by nation-state. The Eurozone has problems, the U.S. has a bigger debt than ever. And the whole problem is that this debt cannot be paid back. So from a big picture perspective, the fundamental reason to own some gold or gold stocks (or both), or silver in your portfolio is for the very fact that there's never been a fiat currency that has survived the test of time, which means—and we're seeing it right in front of our eyes— we're seeing failures of currency, or what I call a currency crisis. Venezuela, Brazil, Iran, Turkey, these are subsets of the bigger picture, which is the U.S. dollar, the reserve currency. Which means that the dollar will continue to get stronger and stronger. So I expect the dollar to look very, very good relative to other currencies globally for a while. But at some point, that "Aha" moment will take place, meaning that other nations and other individuals will realize the U.S. cannot pay back its debt. Nations like Russia and China have already backed away from the dollar a great deal in the last few years, and that trend will accelerate. When that happens, you'll see a run to gold and tangibles. It will be primarily gold; silver will be a subset of that, and it will be tangible assets, what we've already seen on the real estate side. Once that floodgate opens, I think you're going to see a big move; I fully expect to see the biggest up move in the precious metals ahead of us. I wrote a book with David Smith called "Second Chance" that talks about the final upcoming rush in the precious metals. TGR: Would you tell us about a few companies that you're excited about right now. DM: There are a couple of companies that I've been talking about on my free list on the Internet called "The Big Reveal." Two that I want to highlight are Enviroleach Technologies Inc. (ETI:CSE; EVLLF:OTCQB) and Mineworx Technologies Ltd. (MWX:TSX.V; MWXRF:OTCQB); they work hand in hand. In fact, these two companies have formed a joint venture for E-waste processing ventures. I knew Duane Nelson from Silvermex Resources. 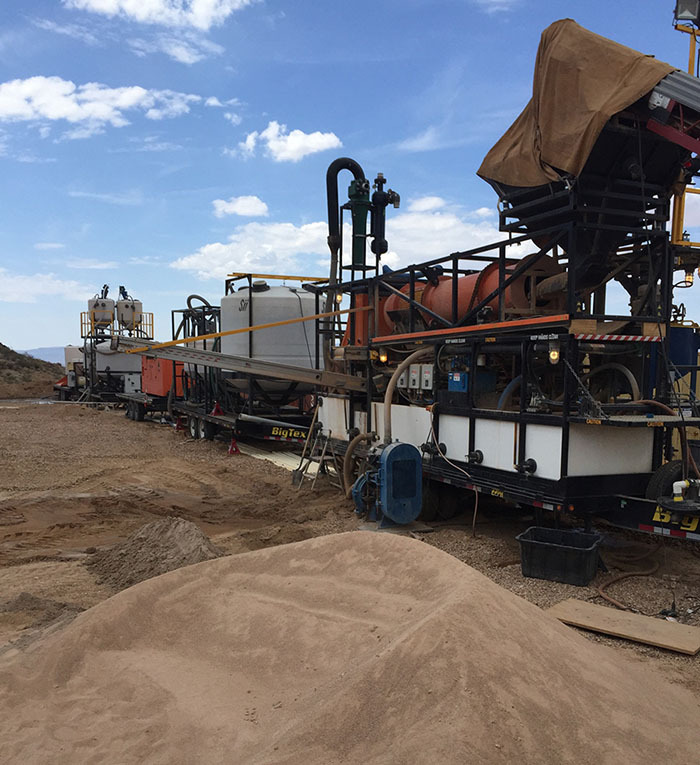 Through a company that was bought out by Iberian Minerals (now Mineworx) in 2015, Duane created what he called a mobile mill. It's a water self-contained gravity feed milling unit and this unit can be placed in hard-to-access areas. We visited a location in Arizona where he test ran it for a few days and we watched it work. It did work and I became very, very excited about it, and I started writing about it in The Morgan Report. Then Duane asked me to take a look at an inert formulation that precipitated gold and other metals. He did all the due diligence you would expect, using a couple of different labs, and the formulation did work. Amazingly, it is an alternative to cyanide and strong-acid processes currently used for the extraction of precious metals from mineral ores, concentrates and invariably electronic waste. So, once the solution proved to be valid, Mineworx made the decision in early 2017 to spin-off the leach technology into a separate public company, EnviroLeach Technologies, a move that gave Mineworx a free sub-license in perpetuity, enabling it to use the leach in the traditional mining sector. In addition, Mineworx entered into a joint venture (JV) relationship with EnviroLeach for a 20% equity stake in the JV for ongoing pursuits in the E-waste recycling industry. Premium members of The Morgan Report who bought Mineworx when we recommended it received shares of EnviroLeach in the spin-off. The story didn't get a lot of legs in the investment community, but it certainly did in the electronic-waste community. A company known as Jabil—a $4.25 billion company—got involved and it started working with EnviroLeach on perfecting this formula. Like any startup in this type of situation, there have been ups and downs. Some things take longer than you expect. But it's well along the road right now. And both companies have the ability to use the EnviroLeach formula, which makes Mineworx's patented HM X-tract mobile mill and its HM X-mill portable grinding unit a great story, and makes it more impactful than when it was just a self-contained milling operation. I like both companies and own both. I'm very, very excited. TGR: Right now, there's a great concern about green recycling of E-waste such as old cell phones and computers. How do EnviroLeach and Mineworx fit into that narrative? DM: It fits 100%. The joint venture of EnviroLeach and Mineworx each recently put out press releases about their new E-waste concentration plant in Vancouver. The process is able to separate and extract and monetize basically every step of the process. 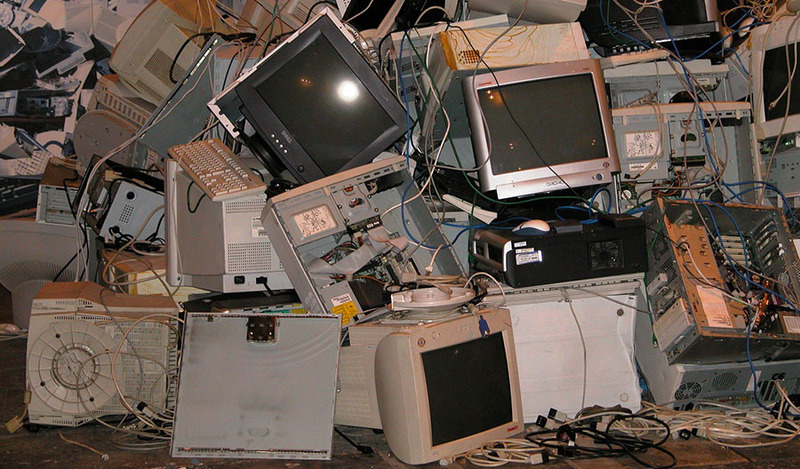 It takes E-waste and separates it into four streams: a copper-based precious metals concentrate that will be sold to refiners, a ferrous metal and aluminum stream that will be sold to recyclers, a precious metal stream that will be processed using EnviroLeach's formulation, and the remainder material that will be used in construction materials. As a test, the joint venture processed about 10 tonnes of printed circuit boards at a rate of 900 kg per hour, and projects an initial production rate of 10 tonnes per day. By adding a second shift it could process 20 tonnes a day. They have secured a supply of 40 tonnes of printed circuit boards and 400 tonnes of low to mid-grade circuit boards, cable boxes, modems, PC/power supplies, etc., to process. In fact, one could now state that the Vancouver plant has begun the ramp-up that will lead to commercial production. The companies plan to use the Vancouver E-waste plant as a model to partner with industry and recycling groups in order to secure supply at advantageous pricing, as well as sourcing international business opportunities. This operation is one of those things that we are all very happy to see, to be able to reuse things we know, help benefit everyone and do it in a green manner. To quote from the news release, "This new utilization of the tailings combined with the reduction of carbon emissions from smelting plus the EnviroLeach formula's reusability will create the world's only zero emission E-waste recycling process." There are green funds that are looking for sustainable projects and projects that are friendly to the environment. This is a huge leap forward because of the cyanide situation, which a lot of mining people use, and there are states and countries that do not allow any cyanide. So this will be very beneficial for those areas and the industry at large; it's a very well-known story for Morgan Report subscribers and a couple others. But the story really hasn't been in front of the resource investing community or the investment community at large. Rather than just make it a big hole in the in the earth and fill it in with used iPhones and computers, Mineworx and EnviroLeach are able to take those materials and reuse and repurpose them, extracting the precious and base metals like gold, copper and aluminum, and make construction material from the remainder. TGR: Would you talk about Mineworx's self-contained unit that could be moved to a remote location to process ore in a place where cyanide is not allowed or where it is not economic to build a freestanding mill? DM: Yes, I know once the E-Waste side of the operation is up and running commercially they want to pursue the traditional mining applications of their technologies. This is where I get the most excited. The factors you mentioned are extremely valid and important. But, let's say you have a junior mine and you have pretty good tailings, for an example. But all the juniors have basically the same problem, it's always a money problem. Because if they really have the goods, they have to raise money, which dilutes the shareholders. And so that's a conundrum that no one can really get around. And now, if you really have the goods, you can have the mobile mill on the premises and start mining and self-fund. So any junior miner worth its salt really should be jumping up and down and wanting to get on board the mobile mill. They might locate the mobile mill on their property and start to extract gold from the project, take that gold, sell it in the marketplace and not dilute shareholders and build a capital base that will allow their mining project to get to the next phase of its development program. It's something that could be a catalyst for the junior mining industry. TGR: What size is the mobile mill? Would it fit on the back of a truck? DM: You're looking at two 18-wheeler trucks. The technology is proven, but it hasn't been implemented on a large scale yet. TGR: Is there else you want to add before we sign off? DM: Our entire team at The Morgan Report is devoted to find the best of the best for everybody who is involved in the resource sector. I would like readers to consider getting on our free list, which is at TheMorganReport.com. Every week, you will receive every interview I do, and you will get very usable information for investors. I always try to give a wealth tip once a month to keep people on track. I answer questions. And of course, you will have access to any of the webinars that we do for free once you're on the list. TGR: David, thanks for your insights today. 2) The following companies mentioned in this interview are billboard sponsors of Streetwise Reports: Mineworx Technologies. Click here for important disclosures about sponsor fees. As of the date of this article, an affiliate of Streetwise Reports has a consulting relationship with EnviroLeach Technologies and Mineworx Technologies. Please click here for more information. An affiliate of Streetwise Reports is conducting a digital media marketing campaign for this article on behalf of EnviroLeach Technologies and Mineworx Technologies. Please click here for more information. The information provided above is for informational purposes only and is not a recommendation to buy or sell any security. 3) David Morgan: I, or members of my immediate household or family, own shares of the following companies mentioned in this article: Mineworx and Enviroleach. I am, or members of his immediate household or family are, paid by the following companies mentioned in this article: None. My company has a financial relationship with the following companies mentioned in this interview: None. I determined which companies would be included in this article based on my experience and understanding of the sector. I had the opportunity to review the interview for accuracy as of the date of the interview and am responsible for the content of the interview. 5) From time to time, Streetwise Reports LLC and its directors, officers, employees or members of their families, as well as persons interviewed for articles and interviews on the site, may have a long or short position in securities mentioned. Directors, officers, employees or members of their immediate families are prohibited from making purchases and/or sales of those securities in the open market or otherwise from the time of the interview or the decision to write an article, until one week after the publication of the interview or article. As of the date of this article, officers and/or employees of Streetwise Reports LLC (including members of their household) own securities of EnviroLeach Technologies and Mineworx Technologies, companies mentioned in this article.